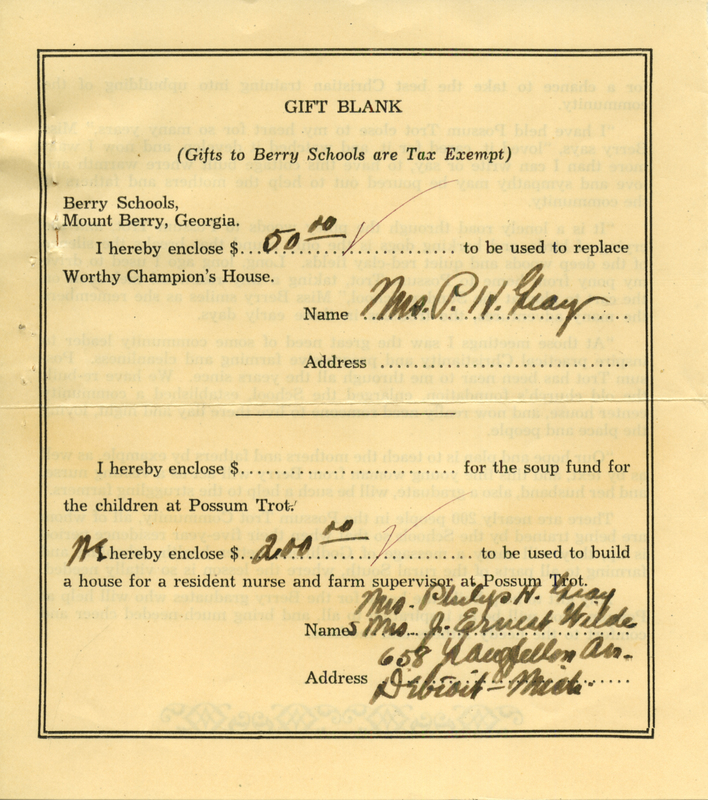 Mrs. Philip H Gray, “Gift Form to the Berry Schools from Mrs. Philip H Gray and Mrs. J. Ernest Wilde.” Martha Berry Digital Archive. Eds. Schlitz, Stephanie A., Jessica Hornbuckle, Savannah Harris, et al. 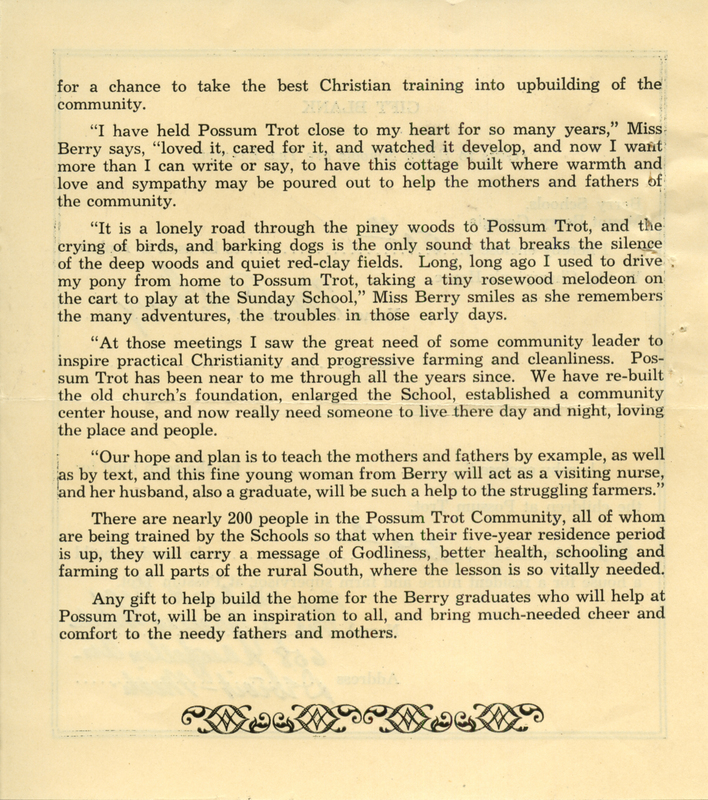 Mount Berry: Berry College, 2016. accessed April 25, 2019, https://mbda.berry.edu/items/show/14153.